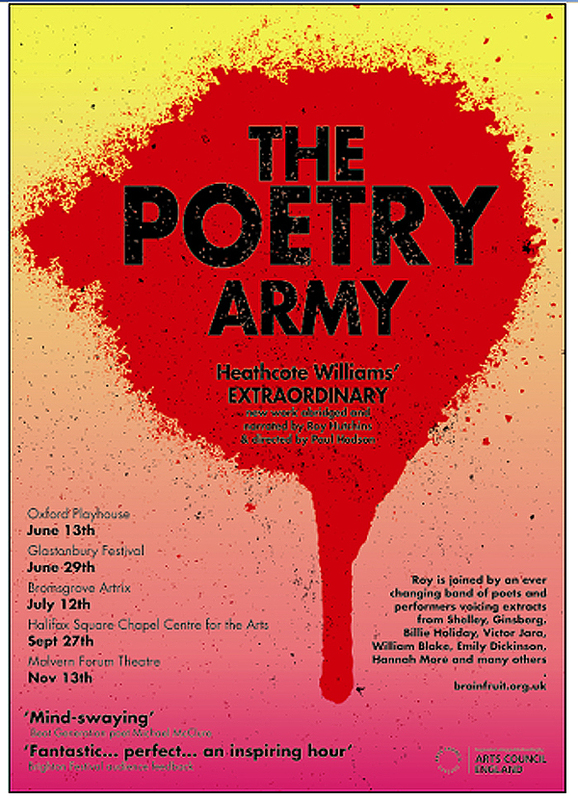 This entry was posted on 10 July, 2014 in homepage and tagged Heathcote Williams, Roy Hutchins, The Poetry Army. Bookmark the permalink. Sounds good, will book for Halifax!